Apparently more people were interested in the quasi-biographical movie about the founder of Facebook than a lot of folks thought. 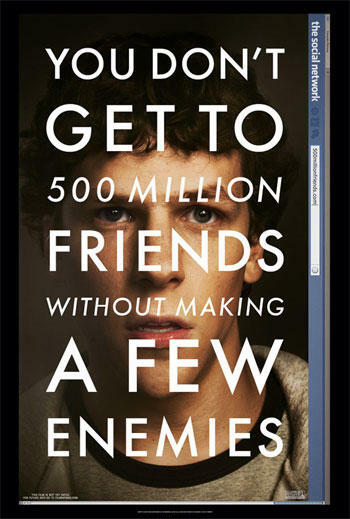 The Social Network came in with a respectable $23 million dollar opening weekend at the box office off the back of a $50 million dollar budget. Although, to be honest, we’re not sure why it cost that much to make when you consider the settings and the fact it had no “A-list” names in the cast, but that’s what Sony spent on it any way. As I am sure some of you are immediately thinking, “Why is this on TechnoBuffalo, and why should we care?” Completely understandable, but think about how much money the movie did this weekend. That isn’t just social networking junkies going out to see this film. There is already “Oscar buzz” around this movie, rave critical reception and good word of mouth going on, meaning this film is going to have some legs to it, and estimates are putting it on target for a total of $100 million domestic box office before its done. Add in all the other ways this movie will be seen with video on demand, DVD, cable and so on, and you start to realize that perhaps Facebook, and more importantly Mark Zuckerberg, shouldn’t have been so dismissive of it. You and I know large portions of the film are made up, and I even pointed out in my review of the film that Zuckerberg’s speech pattern doesn’t come close to matching the man we’ve seen interviewed, but there are now millions of people who know that fictionalized version of the story. How many of those people do you think are going to go out and research the real version of the events? How many will sit down and watch all of the awkward interviews we’ve seen the man give? Pretty much none of them, and so now Facebook is stuck with an image of itself that shows drug use, excessive drinking, law breaking, property destruction and a host of unsavory moral and ethical decisions. Will it stop the 500 million user site from growing? Probably not, but it surely will make some people question if its the happy, fun place they’ve all thought it was for so long. Facebook was asked to participate in the movie, to which they declined, and so what we got was an unchecked story of how this site grew into the monster it has. Like I said, I know that parts of it were fictionalized, you know parts of it was fictionalized, but does your aunt Martha? What say you? 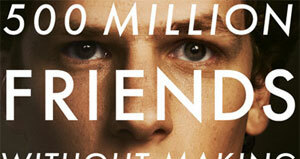 Will The Social Network impact public perception of Facebook?